Are you having a holly jolly Christmas? Don't look at me like that. Everyone knows that the entire month of December is collectively considered "Christmas," so much so that they may as well just rename the month entirely. Whether you celebrate Christmas or are looking for some good movies to watch for Hanukkah or just plain don't celebrate anything during this particular month at all, the fact still remains that there are candy canes, Santa Claus, reindeer, and sexism in the air. "Wait a minute, Kadeen, what was that last thing? 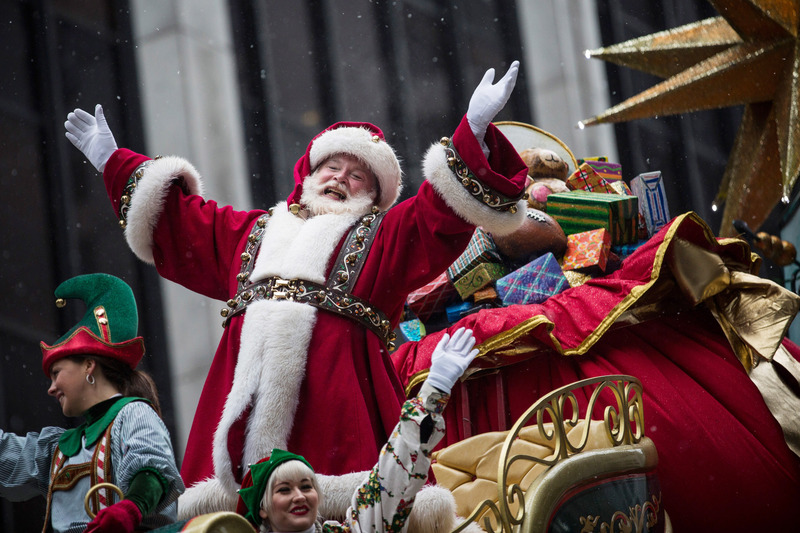 What was does sexism have to do with Christmas?" Sorry, my friends, but a lot more than you think. Some of your favorite Christmas songs are kind of really sexist. I tried to be fair when running my evaluation. After all, some Christmas songs are From a Different Time — and I'm willing to make some allowances for that. However, that doesn't change the fact that some of your favorite carols, whether traditional or contemporary, reek of a bit of antifeminism. That doesn't mean that they're bad songs or that you should stop listening to them immediately. As with all problematic media, the important thing is to acknowledge that your faves are problematic. What you do after that is up to you. Has anyone ever actually listened to the lyrics of "Grandma Got Run Over By a Reindeer"? That song is terrible! Thankfully, I don't hear them playing it on the radio much, but the fact that it's a novelty song that has been around since the '70s doesn't change the fact that it details a poor woman's drunken death. To my knowledge, Santa doesn't even get in trouble for it — unless you count in that TV film, wherein Grandma survives and Santa was framed. Most Offensive Lyric: "It's not Christmas without Grandma. All the family's dressed in black. And we just can't help but wonder, should we open up her gifts or send them back?" Priorities, much? To be fair, I've already written a separate article about how "All I Want For Christmas Is You" could stand to be more feminist. And by written a separate article, I mean I rewrote the song entirely. However, despite being one of my personal favorite Christmas songs, I don't like the idea that the woman narrating the song doesn't want anything for the holidays except a man — and that she's relying on another man (Santa Claus) to get the aforementioned man for her. Most Offensive Lyric: "Santa, won't you bring me the one I really need? Won't you please bring my baby to me?" Most Offensive Lyric: "Oh, what a laugh it would have been if Daddy had only seen Mommy kissing Santa Claus last night!" Um. 4. "It's Beginning to Look a Lot Like Christmas"
Listen, I understand that it's a traditional fact that guys like to play with guns and girls like to play with dolls (or something), but we don't need to reinforce gender stereotypes in our Christmas carols, okay? Update yourself to the modern century, "It's Beginning to Look a Lot Like Christmas!" Let's have the boys put aside the pistols and the girls put aside the dolls and roll out some gender neutral gifts, shall we? Most Offensive Lyric: "A pair of hopalong boots and a pistol that shoots Is the wish of Barney and Ben. Dolls that will talk and will go for a walk is the hope of Janice and Jen." I mean, the entire song is essentially someone trying to seduce Santa Claus in order to get a bunch of Christmas presents. Male or female — though the song is traditionally sung by females and directly references being a "good girl" — it's still a bit awkward to be breathily requesting that Santa get you cars and rings because you called him baby. All the women who independent, throw your hands up at me! Most Offensive Lyric: "Think of all the fun I've missed. Think of all the fellas that I haven't kissed. Next year I could be just as good... if you'd check off my Christmas list." Sigh. 6. "Twelve Days of Christmas"
To be fair, "Twelve Days of Christmas" and I have always had problems with one another, mainly because when I was a child I had no idea what they were talking about with some of the items my "true love" was giving to me for Christmas. However, now that I am an adult, I realize how weird and awful it is that my true love is sending me people for Christmas, let alone crowds of people. Take back your ten lords a' leaping, sir! I'm not into slavery. Most Offensive Lyric: "On the eighth day of Christmas my true love sent to me: eight maids a' milking..." a.k.a. the exact moment my true love started sending me people. Most Offensive Lyric: "Now I need someone to hold, be my fire in the cold." 8. "Baby It's Cold Outside"
"Baby It's Cold Outside" is a Christmas song so problematic that many covers just outright change the lyrics. You know why. You know why. If you don't know why, let me be the one to ruin this for you: there's a line that subtly references the female singer being drugged by the male singer. That alone makes the entire song ten times creepier and ten times more sexist than it would be otherwise, hence why that line is frequently removed. Most Offensive Lyric: "The neighbors might think... (Baby, it's bad out there.) Say, what's in this drink? (No cabs to be had out there.)" Cue shuddering.